The Young Guns Gospel Choir creates dynamic melodies with rich harmonies, whether they are performing as an octet or a thirty-strong choir. They are well known for their traditional and soulful arrangements, from funky gospel flair and swing-beat, to contemporary R&B. Its members are available to perform at a full range of events including weddings, receptions, TV, private and corporate functions. They are an ideal choice for after-show parties, conferences, schools, cabaret functions, open-air festivals, and theatres. 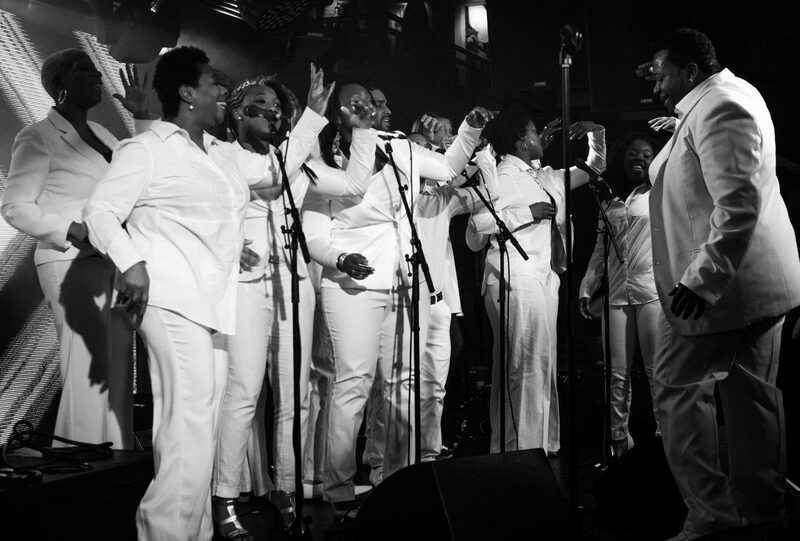 The Young Guns Gospel Choir have appeared at a number of high profile bespoke events such as the brand launch of Westfield, where they provided backing singing for Leona Lewis. This involved a rendition of Nina Simone’s, “Feeling Good”, accompanied by The Bourne Orchestra. The choir performed alongside Pharrell Williams & Nile Rodgers at the Brit Awards 2014, performing the number one single ‘Happy’.